Successful Woman: Cylia Lowe, Esq. 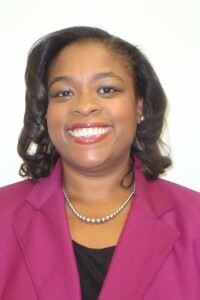 Cylia Lowe is an Attorney for the Federal Government. She was born and raised in The Bronx and then moved to Westchester (Hartsdale) for high school. She attended John Jay College of Criminal Justice for 2 years, then transferred to Pace University but withdrew because she attempted to work full time and go to school at night. It was too overwhelming. To her parent’s dismay she took off the year then transferred to the University of Maryland at College Park. She graduated with a degree in Government & Politics with a minor in History and Spanish. She then went to the University of Baltimore for JD and after graduating law school completed a Masters in Negotiations & Conflict Management. She is also a certified mediator and volunteer for the Baltimore City Community Mediation Center and enjoys the ADR process a great deal. During her last year at College Park it was very difficult for her. She thinks, like most students, she got burned out. Senioritis set in and she wished she would have taken a year off or done a study abroad program. She worked almost full time and went to school two days a weeks from 9am to 5 pm and had a 1 ½ hour commute. It was too much. But she fell behind even though she technically wasn’t because she was actually a year ahead of her grade after returning from Boarding School (in Jamaica, West Indies) years before. She felt a lot of pressure to graduate because her Dad has a PhD and her Mother has a MBA. Both of her parents emigrated from Jamaica to America and faced a lot of challenges. In comparison, Cylia feels as though her major issue was random “stress”, but wishes she didn’t think of things in those terms. When she has a child she will be on the look out for the signs and if her child wants to back pack through Europe or join the Peace Core and travel to Africa she will send them off with her blessings. We interviewed Cylia for this edition of successful women and here are her responses on life and her career. I did a lot of praying because I was very stressed out at my previous job. I used to be a Prosecutor/Assistant State’s Attorney for the City of Baltimore in the Domestic Violence division. It was very high stress and the next step would have been to a felony unit with even more stress. And I was ready for a change. I strongly believe in Vision Boards and I out a career change on mine. I went on usajobs.gov and the position came up and all they really wanted was one year of legal experience or one year of experience as an attorney. It was a completely different field of law, but they did not require a background in the field. The résumé was due that day and I called and asked if it was really okay to fax it and the secretary said yes. I prayed over the fax machine and sent it off. A few weeks later I got a call for the first interview. It went well. I got called back for a second with my would-be supervisor and we had a great conversation about New York, baseball, and how much travel would be involved and that was about it! I wasn’t clear if I actually had the job but he kept saying when you start… when you get here… So I was very hopeful! The witness saw the whole thing as she was visiting her nephew who she adopted from her crack addicted sister and he was there for minor surgery. I had pictures, a police report, the fact that the defendant ran (an indicia of guilt) and should have been a slam dunk, but the jury trial ended in a hung verdict. Afterward some of the jurors spoke with me. They shared some of the issues they had with the case. I told my would-be boss, that this case taught me that even when I think I’ve done my very best I should also go a step further. For example, maybe I should have used a curtain from the hospital so the witness could show the jury how she was able to see the assault. He liked that answer and welcomed me aboard after telling me I was one of two people selected out of over 300 people that applied. That was a good day! I tend to mediate and rely on affirmations to refocus myself when I encounter a set back. I think career wise a set back or a few set backs would be all the rejection letters I received from the other federal jobs I applied to over a two year period. I just stayed positive and held onto the fact that I know anything God has for me is for me and rest in that knowledge. I think I will stay here between 5-10 years it’s a great office and a great place to have a family. After that I plan to become a Judge. Is there anything else you’d like to share about yourself? Personal testimonies are extremely helpful and well received. Strive for balance. I am very active in the Junior League, Alpha Kappa Alpha Sorority, Inc., the local Bar Association, and I am dating, and I am an avid traveler (Panama, Trinidad & Tobago, New York, St. Louis, & New Orleans in just this year alone!) and I am striving to maintain a consistent fitness routine and healthy lifestyle and it is a challenge but anything worth having is!